WUHAN - A total of 1,361 illegal wharfs along the main channel of the Yangtze River have been demolished or renovated, according to the National Development and Reform Commission. 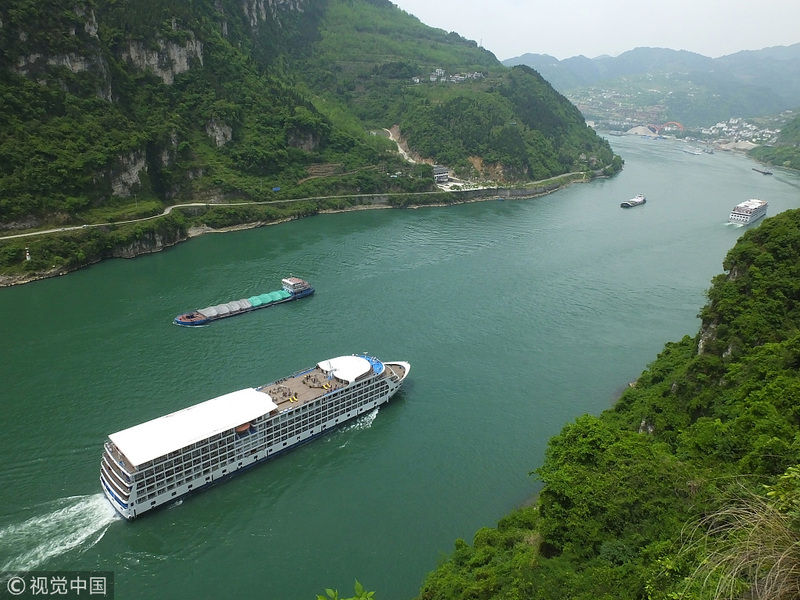 Increasing human activity has damaged the ecological environment in the Yangtze River water area, as well as endangered rare species and biological resources over the years, said Xiong Qiquan from the commission. Xiong said 1,254 wharfs had been torn down to make room for greenbelt areas, and the remaining 107 had been upgraded. In the meantime, crackdowns on illegal sand mining, chemical pollution and sewage disposal have been carried out to restore the river environment and protect the water source. Nearly 900 nature reserves had been established along the main channel of the Yangtze as of the end of 2017.